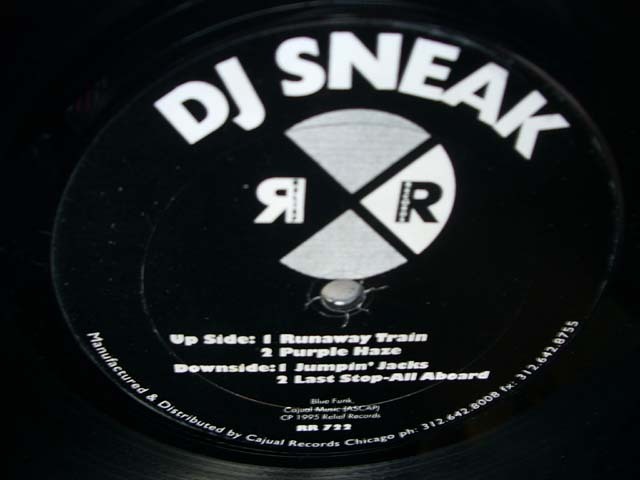 It’s fun to take a train, thought DJ Sneak in 1995 and put out the second part of “Blue Funk”, for the fans of rail travel. Whereas Mr Sosa didn’t board an old-fashioned vehicle for admiring Swiss landscapes, but he steers a horsepower-packed Midwest freight train. The man himself said once that he was inspired by Farley “Jackmaster” Funk who mixed acapella train sounds to his radio shows in Chicago. Machine-gun-like “Runaway Train” is overly percussive technoid piece with wild drum staccato and heavily pumping “Purple Haze” goes above others – a real train track with monotonous rhythm. Its dry and filtered beats get the closest to the mid-nineties mad and stripped sound of Chicago. “Jumpin’ Jacks” reminds of booty-house, but receives a downgrade because of irritating hooting. “Last Stop – All Aboard” makes a step towards deep house and even has some melody, unlike others. By now we know DJ Sneak as a well-paid guest at numerous jet set parties with Krug and Mumm pouring all over the place. 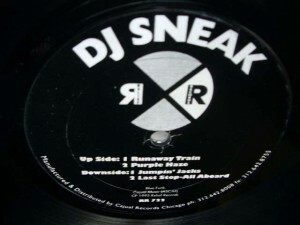 But in the mid-nineties he was one of the young and angry producers in Chicago to make the club floors burn. Only it didn’t last long: Already “U Can’t Hide It From Your Bud” in 1997 gave a clear indication that things are changing and not to the better. The label, Relief Records, is a brilliant chapter in the development of Chicago house and keeping the traditions alive, but this is another story.